Nigerians have been warned to be wary of the ‘evil coalition’ championed by former President, Olusegun Obasanjo and his cronies, aimed at deceiving them ahead of the 2019 general elections. A group, under the umbrella of New Initiative for Credible Leadership (NICREL), said it has monitored the happenings in Nigeria, particularly the political terrain, as activities heat up ahead of next year’s election with deep concerns. The group said it is worried that many expired politicians are coming up with different forces and coalitions to drag Nigeria back to the Dark Age. NICREL said the recent statements on the state of the nation by former military rulers, Olusegun Obasanjo and Ibrahim Babangida, call for caution as the former leaders do not have anything meaningful to offer the nation. Speaking at a press Conference in Abuja, Most Reverend Steven Onwu, Executive Director, said Babangida’s advice, asking Buhari to bury his second term ambition was a threat to the nation’s democracy. Recall that the former dictator had in a statement issued Sunday night, urged President Buhari to sacrifice his ambition in the interest of the country. Reacting, however, Onwu noted that the manner in which the statement was conveyed to Nigerians clearly showed the evil genius of IBB, otherwise known as Maradona. “Babangida was one of those that sponsored the Obasanjo in his failed coup attempt under the Sani Abacha dictatorship, which promptly landed Obasanjo in jail for treason. 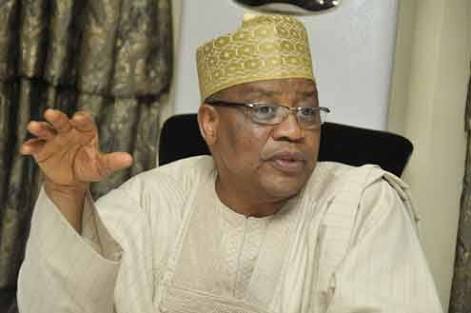 “Upon the demise of the dictator and Obasanjo's release from jail, Babangida was among the cabal that imposed him on Nigeria, albeit under a compromised election that set the tone for dubious elections in the country. “Even in the midst of these ominous conjugations however, we could not but notice the dark humor of the man credited as the father of corruption and the one that institutionalized corruption in Nigeria now grandstanding on the same issue in his desperation for relevance. “IBB's era as President saw Nigeria sat comfortably at the highest perch on the Global Corruption Index. Without him repenting and publicly apologizing for our commonwealth in addition to making restitution, he has suddenly found the courage to become Nigeria's latest anticorruption crusader. “If old age has erased IBB's memory, Nigerians are not able to forget that his economic policies left the country bankrupt and reduced to a nation in need of foreign help despite its abundant natural resources. The fallout of his rule underpins the economic morass that the country is still struggling to exit several decades later. “His commentary on security is really sad as it amounted to him dancing on the graves of those that have been killed in an insurgency that has been clearly traced to some of his cronies. “Nigeria will not migrate to IBB's proposed digital era of corruption and insecurity where our highways were dens of armed robbers, the ministries were contract trade centers, foreign contractors carted away all our natural resources, prevalence of state-run drug dealing and bombing of innocent Nigerians became a common thing. That is not the kind of progress Nigeria wants to make and wherever the promised land is, IBB is not the kind of person to take Nigeria there. The NICReL boss further called on Nigerians to put the Obasanjo, IBB, and the other members of the public to hold the duo responsible for any breach of peace in the run up to the 2019 general elections. He added that, “Their statements and utterances clearly indicate that they are secretly engaged in other activities destabilize the country even though the specifics of such evil machinations are not yet known. We shall lead our own coalition of the affected to attract the full weight of the law upon anyone that causes instability in the polity.